Coffee is one of the things that complete my day. Instant is fine but having a brewed or blended beverage from some coffee shops will make me active for the entire day. In fact, I’m having my Iced Mocha while writing this article. Just recently, I found that there’s a new player in town and the hype is about its Brew Your Own Coffee. 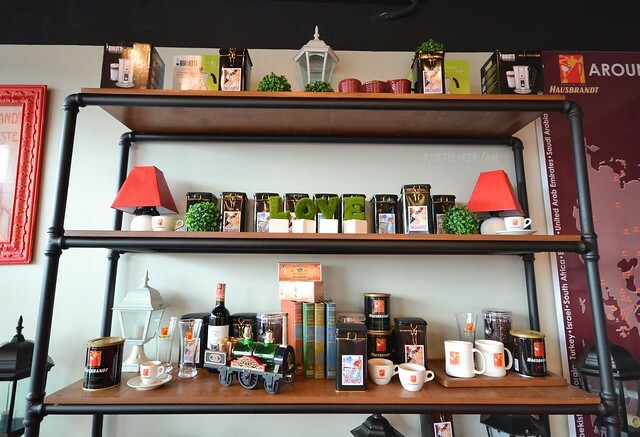 Hausbrandt Caffe, an Italian coffee brand known internationally welcomed coffee lovers on its first branch in the Philippines. The place is quite cozy with all the furnishings used to decorate its interior. From a crew, we knew that the enclosed area on the rear side of the café is their function room that can accommodate 8-10 people. The room is packaged at PHP2,500 consumable rate for several hours of usage. How amazing is that? Our group immediately scanned the menu for the available beverages and started to have a hard time picking what item to avail. The friendly crew at the counter offered some suggestions to lessen our dilemma. First on the list that she mentioned was the Brew Your Own Coffee. The concept was really interesting that led to one of the members immediately stating that he’ll get one. Beverages can be randomly picked from coffee, chocolate, or tea, available in hot or iced, blended fredda al latte or cremosi, and affogato. Of course, don’t forget the Brew Your Own Coffee. Add-ons include vanilla, hazelnut, peppermint, chocolate chips, and coffee jelly. Drinks are served in one size and range from Php100 up to Php210. The counter of the coffee house doesn’t have any fancy coffee machines because all beverages are prepared in a traditional way. When the crew was set, she pulled her cart and approached our table. Before doing some magic, she introduced all stuff on top of the cart focusing on the Bialetti cafetera. She started narrating on the history of Italian coffee preparations and slowly shifted on the brewing process. 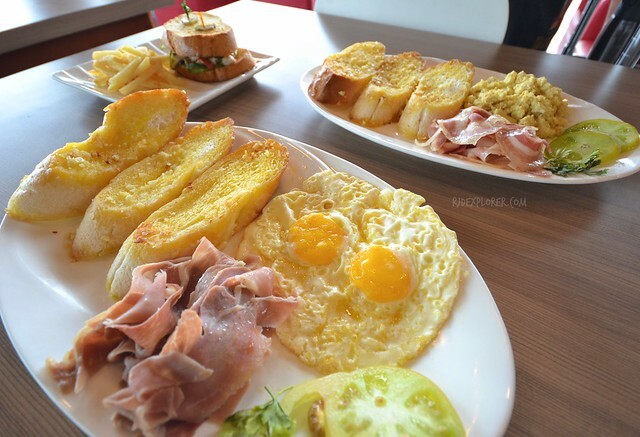 Apart from coffee, the place also serves breakfast plates with a hefty serving of ham, eggs, and garlic bread. Sandwiches are also options if you’re into light meals. 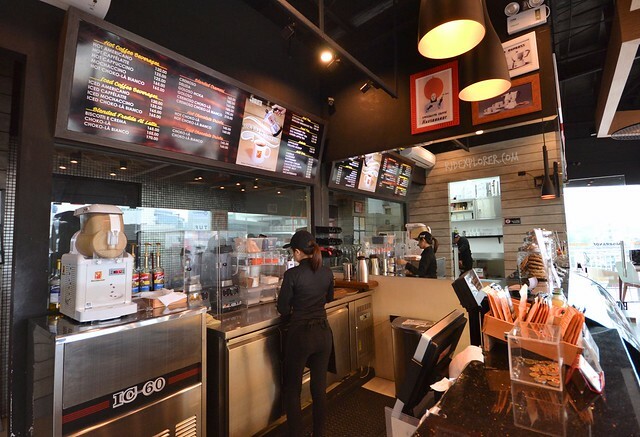 To balance the premium aroma of the coffee, you can indulge in desserts like cakes, brownie, and pastries such as croissant, cheese ensaimada, and doughnuts. 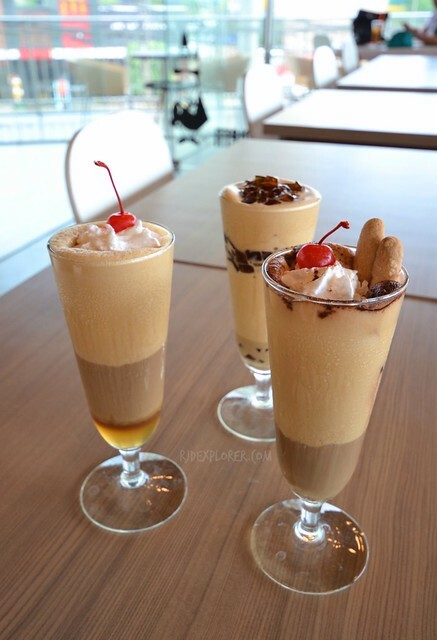 We satisfied ourselves with Frozen Coffee with variants like Cremoso Jelly, Tiramisu Cremoso, and Hazelnut Moka at P155 each. 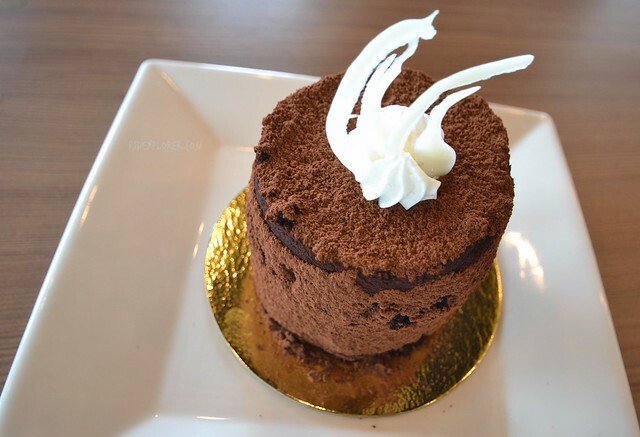 In addition, we weren’t able to resist breakfast plates, a sandwich, and a Truffle Cake at Php130. 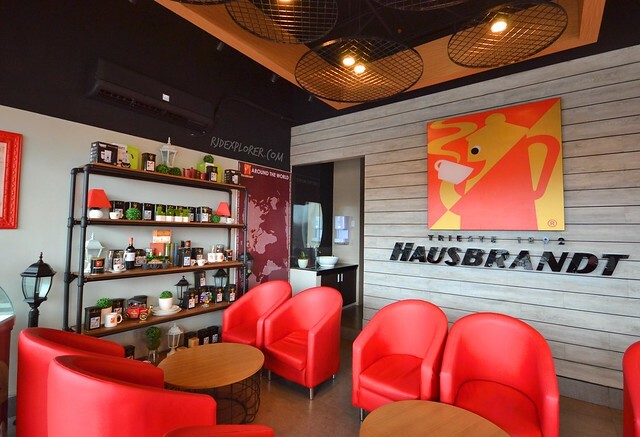 Instant coffee already satisfies my need for coffee yet my visit at Hausbrandt Caffe introduced me to the traditional way of brewing, and the idea got me hooked. Coffee experience sometimes highlights the detailed process of preparing it and Hausbrandt Caffe nails it. 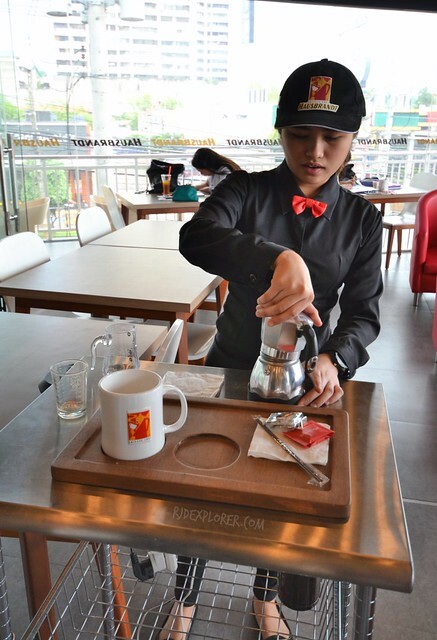 By the way, Brew Your Own Coffee is also available in Moka, Americano, Caffe Latte, and Cappuccino variants. And we heard that they also sell BYOC machine that comes with a year supply of quality Arabica beans.